So last week I was having a bad day. It was horrible in fact. I decided I needed chocolate to cheer me up (as you do) so I popped out of work and dashed across the road to get my Kinder Bueno fix. As I crossed the road, I noticed a £20 note on the ground! I love it when stuff like this happens, it's like the universe is saying "hang in there AP". I got back to work and had saw a tweet about Whistles' 25% with Grazia magazine! Erm hello, talk about signs from the universe! 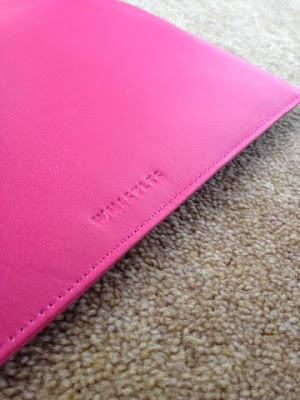 If you don't know, Whistles is quite pricey so even with 25% off, £20 isn't going to get you very far. i was thinking of just saving it when i saw a gorgeous Clutch Bag. I never really buy bags unless it's a Mulberry I've coveted and saved for months for or something like that. I always need a small bag when I'm going out but it's something I never remember to buy! Let me tell you- it's gorgeous! I can't stop smiling at my new purchase (please tell me, other people are this weirdly proudly of new things too?!) It's a "small" clutch but it a fair bit bigger than I thought it would be which is nice. 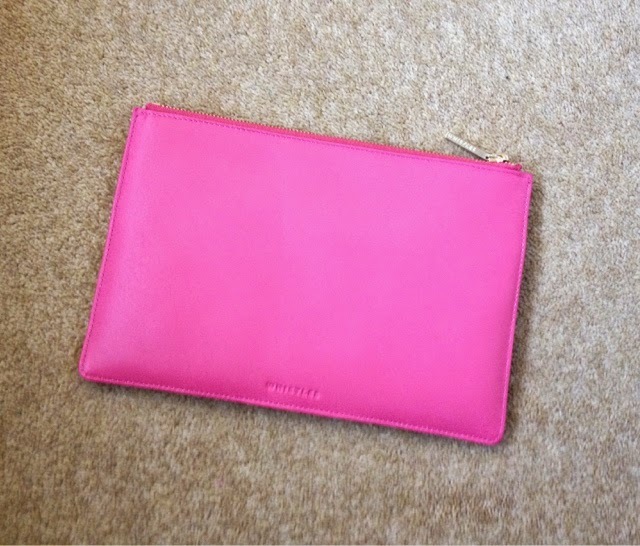 It's a bit of an odd shape, I thought clutch, so long and rectangular but this is more square. The leather is quite buttery so it feels nice and soft. 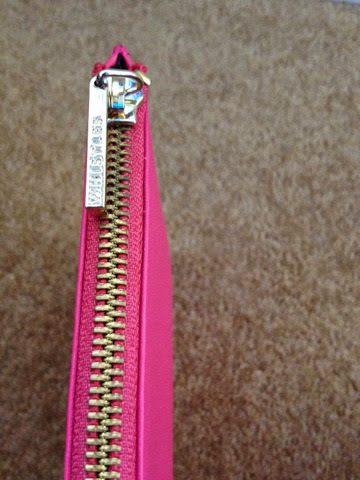 I love the little details like the little Whistles engraved into the zip. It's so pretty! I tend to wear a lot of black so this will definitely brighten up my outfit and no doubt put a big smile on my face! Love it! Sigh. I miss British shopping the shipping here is AWFUL.